Browse Fiesta de la Flor for more articles like this. You won’t have any trouble spotting the city buses designated to provide free park and ride service to Fiesta de la Flor this year. 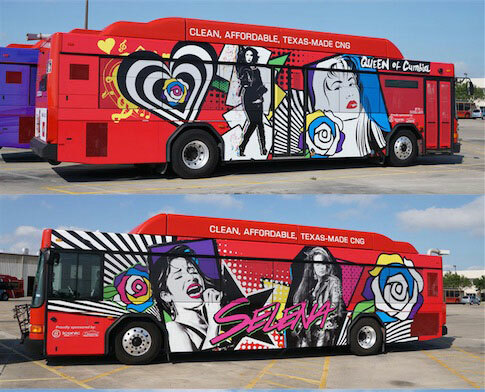 Two city buses have been wrapped in colorful tributes to Selena in honor of the now annual celebration. While the ride is free, the parking is not. Paid parking is available on the American Bank Center lots and private lots within the S.E.A. District. Offered by the Corpus Christi Regional Transit Authority, complimentary rides will be gin at 5:00 p.m. on Friday and 9:30 a.m. on Saturday. 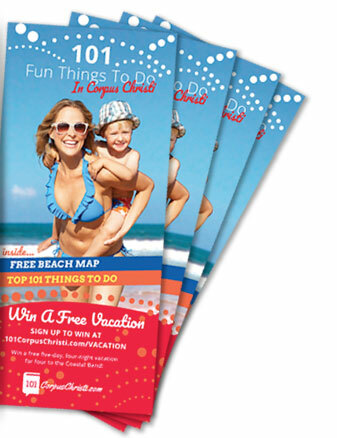 Pick-up and drop off locations are City Hall and the Nieces County Courthouse. Parking on ANY street along the perimeter of the festival site is prohibited. Police will be enforcing the no parking rules. Cars will be towed. • Northbound lanes of Shoreline Blvd. will be reduced to 2 lanes at Mann St.
• North & Southbound lanes of Shoreline Blvd. will be closed between Resaca St. & Power St.
• North & Southbound lanes of Water St. will be closed between Resaca St. & Palo Alto St.
• East & Westbound lanes of Fitzgerald St. will be closed between N. Chaparral St. & Shoreline Blvd. • East & Westbound lanes of Palo Alto St. will be closed between N. Water St. & Shoreline Blvd. • Resaca St. will remain open to access Barge Dock, Art Museum & additional American Bank Center parking. • The Seawall will be closed to access Northbound beginning at Shoreline Blvd and Power St.
• Barge Dock access will be closed for all activity Thursday, May 5 – Sunday, May, 9 and will re-open on Monday, May 10. • Resaca St. will remain open to access additional American Bank Center parking. • Southbound lanes of IH 37 will be reduced to 2 lanes at Water St.
• Belden St. access at Chaparral St. will be restricted to ONLY Park & Ride buses, Media Personnel and Talent buses. • Power St. & Palo Alto St. will be closed at Chaparral St.
• East & Westbound lanes of Power St., Palo Alto St. & Fitzgerald St. will be closed between Mesquite St. & Chaparral St.
• Eastbound lanes of Hughes St. & Brewster’s St. will be closed at Mesquite St.
• Southbound lanes of Chaparral St. will be closed at Hirsch St.
• The Seawall will have limited access to pedestrians due to festival lines. • Northbound lanes of Shoreline Blvd. closed at IH 37. • Southbound lanes of IH37 closed a Shoreline Blvd.